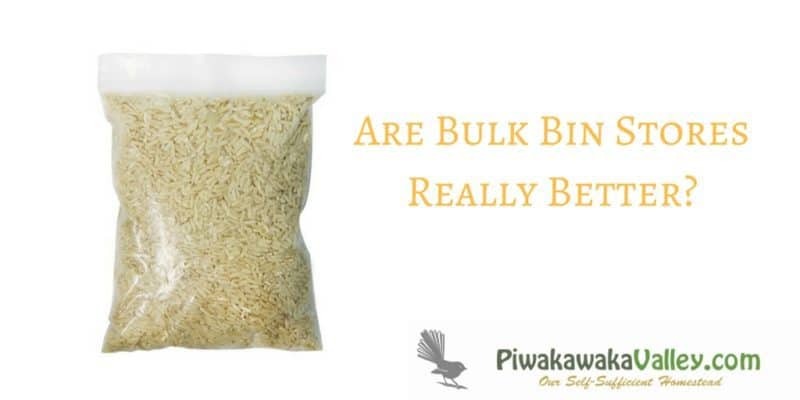 When Plastic Free isn’t really Plastic Free – Are Bulk Bin Stores Really Better? As you may or may not know, we are jumping on board with Plastic Free July. We have been trying to reduce our family’s reliance of plastic over the last year. While we are not there yet, we are a lot better off than we were. Going plastic free is hard. Really hard. Which is sad really. And scary. How has such a toxic substance become so much a part of our daily lives? I really admire the amazing people that have managed to go totally plastic free, but do you know what? Even at the end of a year, they too have a little pile of plastic that they could not avoid. Why did our Plastic Free Story Begin? Plastic is EVERYWHERE. Sadly it is now in the oceans, in our whales, in our native birds and in us. The beginning of our plastic reduction efforts started in June 2016 when the kids and I were watching some documentaries around environmental health, and the impact plastic was having on our birds – my girls are certifiably bird crazy, so this hit them hard. Ultimately I am aiming to grow our own meat, vegetables and fruit. But that is just the tip of the iceberg of our plastic consumption really. Even the grain bags our animal feed comes in are plastic. What are we doing these days without plastic? The bathroom is that hardest place, it is full of things to replace. I wash my hair with washing soda these days, but if that is too extreme for you, maybe you could try a shampoo bar. Or use natural deodorants or a menstrual cup. These might sound like hippy things to you but when aluminium (it is in your deodorant) has been linked with alzheimers and menstrual cups reduce pain and bleeding. Maybe natural is actually better. Surprise. We make our own remineralizing tooth powder for brushing our teeth, and use bamboo toothbrushes too. My shopping for food and groceries have become 3 trips to all the smaller shops so I could support the small guys and avoid the plastic. Yes it is more time consuming, but they are all within a few blocks of each other, so that helps. A farmers market would be even better, but I work the weekends when they are held. I am still hunting for a good, real butcher with a counter full of unpackaged meat to choose from. We take our own bags. I love my cotton vegetable bags, they hold so much more than the crappy plastic ones anyway. Also they don’t tear a hole in them and throw your apples all over the floor either. For dry goods there is a big movement to using bulk bin stores. Which is great. Yay you for being proactive. Totally great to support the small guys that are trying to do it right. So what is so Wrong with Bulk Bin Stores then? 1) Yes you do not have to use plastic to buy the items if you bring your own jars, but where do the items come from before they are in the bin? The cereal is delivered in boxes, lined with plastic bags. The spices come in small plastic bags. The dried fruit comes in…? You guessed it, plastic bags. Oh, except glace cherries, they come in a plastic bucket. How do I know? I used to be the bulk foods girl at the supermarket. Heck, sometimes my boss used to get us to empty many, many small bags of candy into the bulk bin bins so you could put them in your own container…. No, the consumer doesn’t have to take plastic bags home with them, but it is not totally removing plastic bags from the equation. The stores are left with the plastic to deal with. And that cost is passed on to you, the consumer. Not back to the company that is providing it in the first place. 2) The biodegradable bags that they provide (and others that you can buy elsewhere) need oxygen to decompose. Biodegradable plastic bags will not decompose in the anaerobic environment of the garbage dump. Also, they still take a LONG time to break down, in this time, they can still be eaten by animals that mistake them for food. Again, better, but not good. They also still contain “fossil raw materials” ie OIL. Don’t be mislead by fancy advertising and tricksy words. Thems are sneaky blighters them marketing types. 3) The bulk bins themselves are made of our favorite friend: Plastic. What happens when the company decides it is time for a renovation? Or the lid of the bin falls off and and breaks on the ground? The bins where I used to work certainly weren’t recyclable. And when we got new bins the old ones went to the dump. 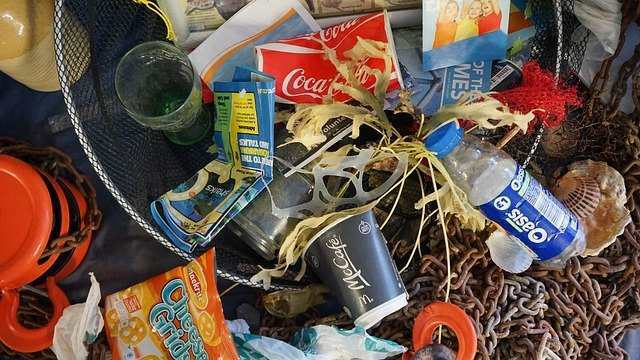 How can you Help in Stopping the Use of Plastic? It may seem like we are fighting an uphill battle. That is because we are. But it is our responsibly to halt the destruction of our planet. I never thought of myself as a ‘greeny’ but I do think about what kind of mess we are leaving for our children and grandchildren. It is not looking good folks. You might just be one person. I am too, so is that guy over there. But the world is made up of 7.5 billion one-persons. If we all do our bit, it WILL change. Some countries have banned plastic bags: South Africa, Uganda, Somalia, Rwanda Botswana, Kenya, Ethiopia, China & Bangladesh all have bans in place. Many cities have banned plastic bottles and utensils. Going plastic free is an overwhelming task, so here are 5 quick ways to jump on board with plastic free July to get you started. Lobby your local government to ban plastic bags, bottles, cutlery etc. 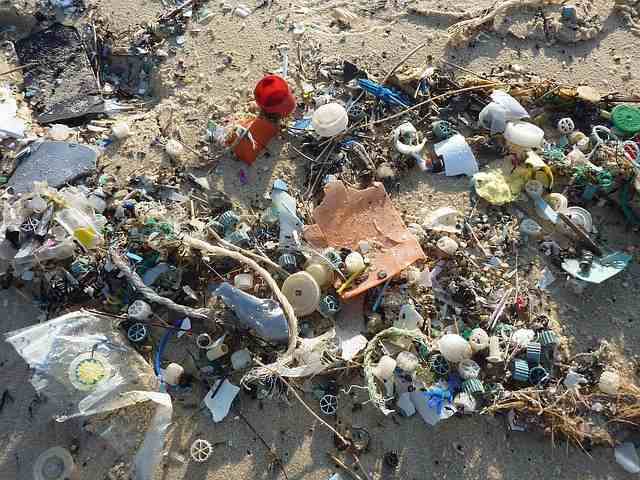 Educate your children about plastic – this includes their toys! Buy them something else for their gifts. RECYCLE – it is not perfect, but it helps. Shop locally – try farmers markets, green grocers and real butchers and delis. BUY REAL FOOD. Learn to cook, make homemade cleaners. Avoid buying plastic for your new purchases – spend a little more and get metal, ceramic or glass instead. Grow a vegetable garden in your yard. Every bit helps. Start your own revolution. Join us in Plastic Free July to do your bit. Get a taste for it, you might be surprised at what you can manage in a month! It has started. We just gotta keep it going. Build the momentum and join what could be the biggest movement in history! What do you do to avoid plastic at your house? Tell me about it in the comments. Plastic is sooooo pervasive. It really feels like there’s no escape! I really want to be self-sufficient to raise and store my own foods so I can avoid plastic! That is an amazing goal Mellie! Even raising your own food is problematic we are finding – all the grain sacks are plastic! !